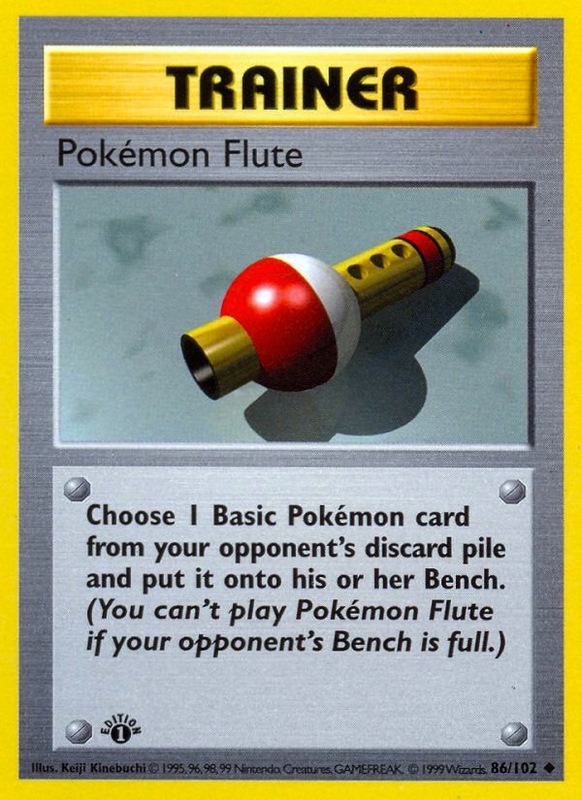 MSU unfortunately doesn’t offer a Poké Flute program, so bassoon was my second choice. Hello everyone! This is my inaugural article for SixPrizes. I’d like to start how most other beginning writers start their first article, with a short summary of myself and my accomplishments in the game. I’m a college student at Michigan State University studying bassoon performance and music education. When I’m not practicing my instrument I’m theorizing about Pokémon. I started my tournament career last season at Fall Regionals where I took my own creation (Magnezone Prime/Vileplume UD) to a Top 8 finish. Since then, I have numerous Top 4 Battle Road finishes and half a dozen Cities placements. At the 2012 Fall Regionals in Fort Wayne, I made Top 32 and at Ohio States, I battled all the way to Top 8. I pride myself in my consistency, cutting in eleven of the fourteen events I’ve attending this season. My mantra for both Pokémon and life is to put myself in the best possible position to be successful and I’ve lived up to that so far. In this article, I’d like to briefly discuss how I predict the metagame and how well that knowledge served me in the first two weeks of states. I had been heavily testing Darkrai variants before this tournament. I found Darkrai to be consistent and it could beat Blastoise, which I fully expected to carry over as the consensus BDIF. 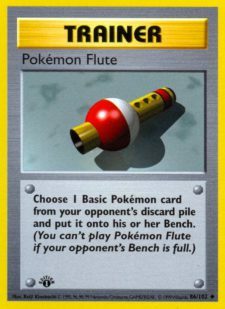 However, to know your enemy is to know yourself, and I found Blastoise really wasn’t the premier deck I originally thought it was. It’s wasn’t that it got worse as a deck, it’s just that other decks had better answers. Darkrai could OHKO Blastoise and hits magic numbers on Keldeo. 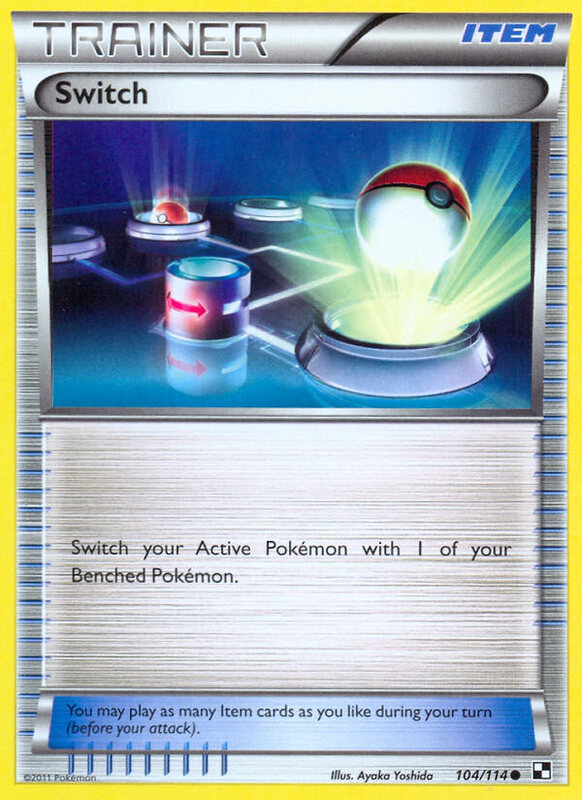 Big Basic decks could abuse Hypnotoxic Laser and Virbank to not only counter the Blastoise player’s Tropical Beaches, but to quickly stack damage and get easy Squirtle knockouts. 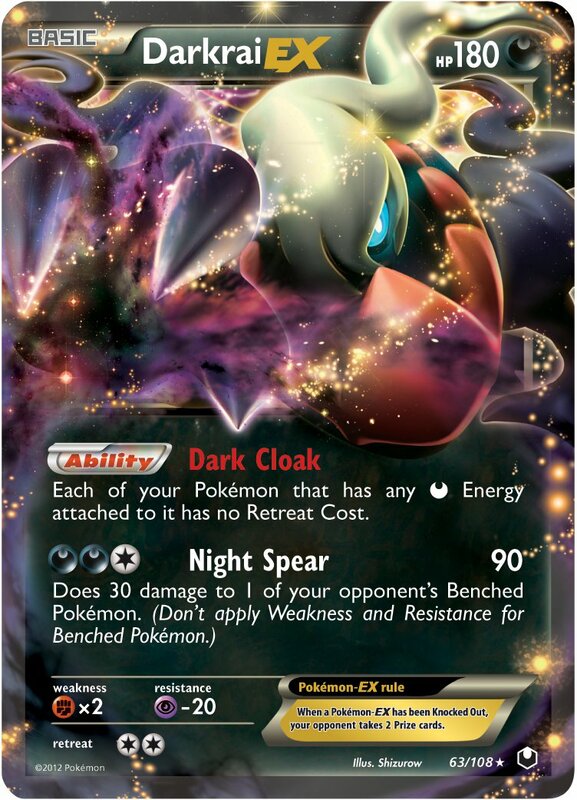 Immediately, Darkrai emerged as a deck to be feared in Week 1. First of all, it is an inexpensive deck, which is appealing to many newer players and good players that only play at big events like States and Regionals. I figured the best players would gravitate to Darkrai because it’s a deck that doesn’t have an auto-loss (though Klinklang comes close) but also was consistent and had options. There were many ways to run Darkrai and I tried all kinds of variants; Speed Darkrai, Darkrai/Hammers, Darkrai with Laser, Darkrai with Lasers AND Hammers, and Healing Darkrai with Scramble Switch and Max Potion. Combine the consistency Sableye provided and the amount of tech Trainers that could be added, and I believed the deck would be well represented. The next deck I expected to see a lot of was Eelektrik variants, most notably with Rayquaza EX. A few of my friends had talked about bringing the deck and I thought it gained a lot from Victini EX. Rayquaza’s ability to OHKO any Tier 1 attacker in the format for 3 energy is nothing to laugh off. I knew that this deck would see play because if it draws decently, it can easily overwhelm an opponent. However, there’s one thing that these decks share; reliance on Ability lock. My good friend Alex Hill had been having success with Garbodor in pay-to-play online tournaments. I teched my Darkrai list out to handle his deck; this included dropping Keldeo for Switch, playing Scramble Switch, adding an Enhanced Hammer and adding Max Potion to heal the damage all his big basics did. Enhanced Hammer was absolutely awesome against his deck, denying him attachments and leaving his board free of energy. However, I still felt like the matchup was 60-40 in Garbodor’s favor. I decided to give up playing Darkrai in favor of Garbodor the night before Ohio when I realized how strong Landorus was. Combined with Lasers and Virbank, it could hit up to 90 with Weakness, not to mention the bench snipe. It could donk Tynamos and it could put early pressure on Blastoise. Landorus’ other strength is that it only needs a single Fighting Energy to attack. This allows for a lot of Prize denial through the MVP card of the tournament: Max Potion. Max Potion was a card I didn’t see anyone talking about before the tournament, but it made perfect sense in a Landorus based deck. If the opponent hit into Landorus, you could heal the damage and put your opponent back at square one. Our Garbodor also played Giant Cape with made Landorus even more of a tank. My team decided to include 3 Landorus EX and 2 Max Potion in our final list and it lead to great results. Alex ended the day at 5th place after destoying the Swiss rounds and earning a perfect 8-0 record before top cut. I also played the deck to a Top 8 finish with my 2 losses in cut coming to an opponent’s Mewtwo EX donking my lone Trubbish. Chris Derocher won the tournament with the list, which capped a very successful day for Garbodor. So, why did our Garbodor list do so well? I played very few of the decks Garbodor was built to beat. The competition consisted of RayEels and what I like to call “Fight Guys,” AKA Big Basics. “Fight Guys” is the nickname given to decks of people that seem to open up their binder and throw together a deck of the strongest Fighting Pokémon EX in the game. Toss in a few Mewtwo EX, and BOOM: instant average deck. Landorus EX destroyed Eels. The two variants I played (last round of Swiss and first round of top cut) played Victini EX over Emolga. They also didn’t play any way to heal their Victinis, so when it went to the bench, it could be sniped via Hammerhead for easy Prizes in the late game. Emolga somewhat balances Landorus EX because it forces the Landorus EX player to use up their Catchers to take KO’s, however, the RayEels lists I faced either focused on Victini EX or didn’t start Emolga in our matches. Our original list had two Tornadus EX and two Landorus EX, but because Landorus EX was our preferred starter in most matchups, upping the count to three made for better starts. These cards were amazing in mirror. The magic number for the day was 30. 30 damaged could be dealt from Hammerhead and with Virbank City Gym in play, Laser could Poison for 30. Giant Cape gave our attackers (Tornadus EX, Mewtwo EX, and Landorus EX) 190 HP or more which allowed them to take an extra Hammerhead snipe and give me an extra turn to search for Max Potion. An example of their usefulness of the math: Opponent is playing Big Basics or Garbodor and they start Landorus to any of your EX attackers. They hit into you with Hammerhead and manage to get both the Virbank and Laser out. Now your active has 60 damage and is Poisoned. You attach Giant Cape. Going back into your opponent’s turn, they would be unable to KO you with any of their Pokémon unless they were somehow able to Scramble Switch into Tornadus and attach Double Colorless Energy to attack for 100. 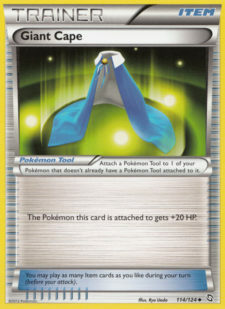 Although it never came into play, Giant Cape also made it that much harder for Keldeo to KO Garbodor. They would need four Waters attached to their Keldeo EX to KO an undamaged Garbodor with Giant Cape. This would allow for an easier Mewtwo response; all I would need was a Mewtwo with three energy and the Virbank Laser combo. While not all matchups are 50-50 or better, Garbodor has an answer to every deck out there. Even if the opposing deck played a Tool Scrapper, the list we played was consistent enough to lock their deck the following turn (it also helped that there was a severe lack of Tool Scrapper on the day). I know some people played heavy 4-3 lines of Garbodor with 4 Ball search and 5 or 6 Tools, however our list was essentially a Big Basics deck with Garbodor tech. We trimmed the unnecessary fat from the Garbodor line and limited the amount of Ultra Ball. 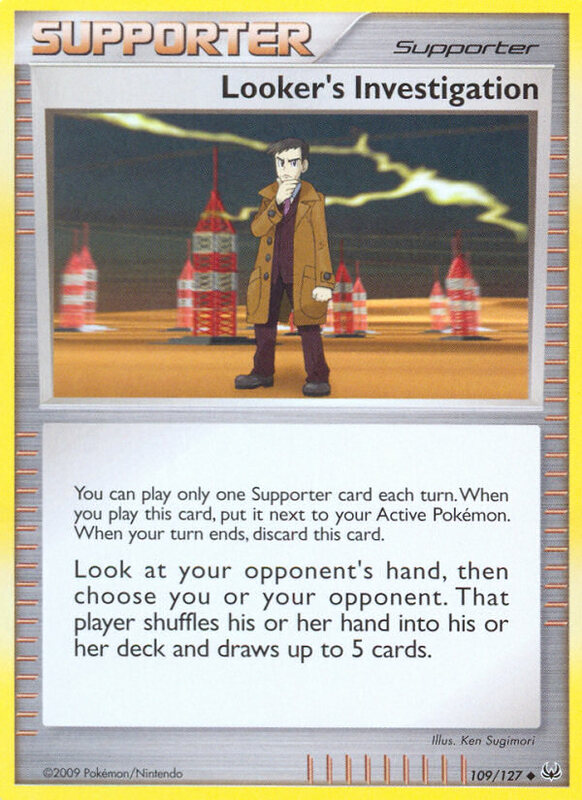 We managed the lack of resources by playing four Skyla to grab any Trainer needed to set up the lock. 1. It could overpower any deck in the format. RayEels simply does not know when it is in a bad matchup. The deck rarely blows the opponent out of the water, but its comeback potential with N and an accelerator like Eelektrik make for a formidable combination in the mid and late game. Big Basics might seem tough, but if you can force them to use Catchers early and then N them, you can often mount a comeback. Landorus EX is hard to deal with if you start two Tynamo and they go first, but that only happened to me once on the day, and it is a fairly unusual occurrence. 2. RayEels can stand toe to toe with Blastoise. 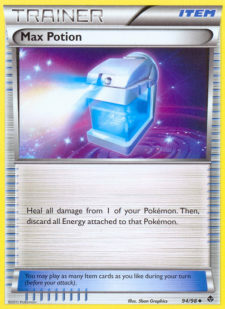 There is a lot of debate as to whether or not Blastoise is better, especially builds that include little Black Kyurem. However, the testing I had done with the two decks showed that the matchup essentially came down to whoever could draw better in the first few turns (but aren’t a lot of match ups like that?). I knew that a few of the better Canadian players who were attending the event would be running Blastoise, so I figured if I wanted to go deep in the tournament, I would need a solid match up with Blastoise. Why not play Garbodor again? My reasoning was that people would see how strong a card Max Potion is in this format and run it in their Big Basics decks. The healing capabilities of Max Potion was our one advantage over most other decks in Week 1 and if Big Basic decks started to run them, our Garbodor deck would be extremely disadvantaged in that matchup because of the useless Garbodor line. Thus, I went with a deck I felt never was out of a game and a deck I could tech to accomodate the amount of random Fighting decks that would be played. The day started off well. I was 1-0 after beating up on a Garbodor list. In the second round, I played against Alex with the Garbodor deck we played Week 1 and got rolled because I started two Tynamo to his Landorus AND he went first. Getting a Tynamo KO’d before even draw a card means that there is little margin for error on the part of the RayEels player. I tried N’ing him multiple times, but he always had Catcher and I couldn’t hit my Max Potions and Super Rods in time. The third round was the critical point. I knew I had to win this round to dodge the average players playing Big Basics at the middle tables. I thought I had a great chance to win a matchup I had specifically teched against: Klinklang. However, before I was even able to think about setting up my V-create Victini, he donked my Tynamo with his Cobalion EX and a Hypnotoxic Laser. After that I would go on to lose another tough game against Big Basics and my day was over. The list seems really wacky, but it was just very teched out for Big Basics. Excess cards were cut in favor of versatile cards. 2 Max Potion and 2 Tool Scrapper were for the Landorus/Garbodor match up. If you can start or promote Emolga, you have the ability to evolve into Eelektrik without losing a single Tynamo. The two Scrapper not only allowed me to dodge Garbotoxin, but it also ensured I only needed three energy to dragon burst for any EX knock out. One Skyarrow Bridge seems insane to a lot of people, however, I always found I would rather have Switch in every instance. Yes, Skyarrow is a good counter to Virbank, but Max Potion could handle the damage dealt via early Big Basic aggression. Also, Emolga is a fantastic option to promote after the opponent takes a knock out because of its free retreat. I decided to include Random Receiver over other Supporters like Skyla and Bianca because I found that Juniper, N, and Colress were the only Supporters I ever wanted in an Eels deck. Juniper is included to discard Lightning Energy and to thin the deck. N is for disruption, and Colress is to refresh into massive hands of eight, nine, or ten. I simply thought these were the three best Supporters for this style of deck and never found myself wanting straight draw, like with Bianaca or Cheren, or to waste a Supporter searching out a single Trainer (Skyla). One Catcher was perfect. With this deck, you always want to KO their attacker which is almost always active! Catcher is too good not to included, though, especially being able to reuse it once with Dowsing Machine. I debated adding an Escape Rope in place of a Switch, but again, their main attacker should be your biggest target. I do not regret anything with this deck choice! How I ended does not make me think this was a poor decision. I tested the deck and knew it had its issues against Landorus EX, but that hasn’t stopped RayEels from winning all over the country. In any tournament, you have to get lucky to do well, and I was on the wrong side of the luck this week; it happens. 1. My deck must handle going second to a Landorus EX. Landorus will still see lots of play and your deck can’t fold to one of the best first turn attackers in the game’s history. 2. I must have an answer to either Klinklang. I think this will be the sleeper deck of Week 3. I predict Klinklang to make a serious push this week as I think people will continue to underestimate the deck and not tech for it even though it did reasonably well in Week 2. 3. My deck must be able to discard unnecessary cards! I cannot overstate how important it it to not only build your deck to be as streamlined as possible but to also be able to thin the deck! It is imperative in this format that you can thin your deck to prevent the opponent from making you draw dead off a late game N.
I will look to try to include more discarding cards Ultra Ball and cards that can be played immediately like Crushing Hammer so that I can more easily prevent from drawing dead in the late game. 4. I’d like to stay away from donks. If my testing shows that RayEels is the best deck from Week 3, so be it, but from being donked out of top cut in Week 1, to getting eliminated from an almost autowin in Week 2 because of a donk, I want to avoid them if possible! Thanks for reading everyone! I will try to respond to any questions you may leave in the comments. I hope this article has prepared you for the last chance to earn that elusive States trophy! do you mean 8 lightning 4 fire instead of 8 fire 4 lightning? As an individual that is new to the game (started in January), i am playing catchup in “Fighting Game” cards, along with the cost of Landorus EX, Tornadus EX, and such i went with Drakria for the reason you stated in the article. The value of your article for me was how you broke down your matchups and the thought process your team took going into each week. Great job for your first article sir! How did only 2 ray EX work for you? it seems like it would be harder to win if they were prized.